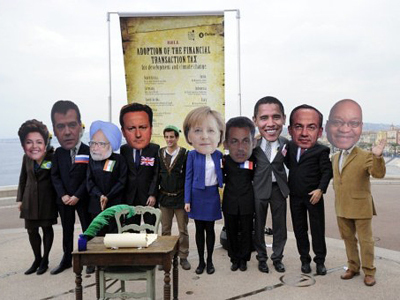 The sovereign debt crisis in the eurozone has dominated the first day of the G20 summit in Cannes. The Greek PM’s vacillating over a referendum in the country has brought added urgency to events as G20 leaders thrashed things out on Thursday. The euro is at the heart the EU’s stability and must be preserved at all costs, said French President Nicolas Sarkozy summing up the results of the first day of the summit. 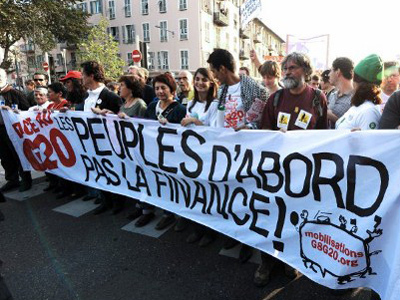 “We are concerned the financial crisis might hit developed economies,” said the French leader. He stressed the single currency is going through its toughest crisis ever. “The eurozone will get a grip on itself to send a message of credibility to the world,” declared Sarkozy, urging a quicker expansion of the European bailout fund. So far, however, only a general agreement to increase contributions to the International Monetary Fund has been confirmed by the UK Chancellor of the Exchequer, George Osborne, who briefed the UK press prior to Sarkozy’s speech. This would be a tenth boost for the fund, which appears in need of yet more resources after buying much of the EU’s sovereign debt. Osborne, nevertheless, stressed this was no emergency measure. 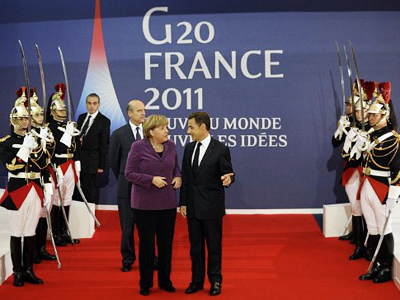 Sarkozy cautiously welcomed the decision of the Greek government to scrap referendum plans on the European bailout program. 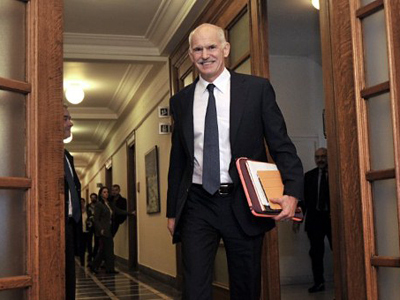 Greek PM George Papandreou does appear to have abandoned his plan to hold a national referendum on the EU bailout program, which Germany and France had pushed through in late October. Having stunned the G20 just before the summit, Papandreou reversed course after a rebellion within his own Socialist Party over the referendum, but ignored repeated calls to resign and call elections, reports the Associated Press. According to Russia’s President Dmitry Medvedev, the final set-up of relief measures for Greece could emerge within hours, as European leaders will meet again on Thursday night in another attempt to tackle the European sovereign debt crisis. The meeting will also be attended by representatives of the European Central Bank and the IMF. Meanwhile, Russia’s chances of entering the World Trade Organization are looking more promising once again. President Medvedev declared the country is ready to accept the compromise worked out by Switzerland to meet Georgia’s objections. The measures include an independent auditing of trade data, which will be provided by both Georgia and Russia. This opens the door for Russia to present the case for its membership during the WTO session in mid-December. The Robin Hood tax which found its way onto the agenda of world leaders via a report by Bill Gates did not seem to go down too badly. 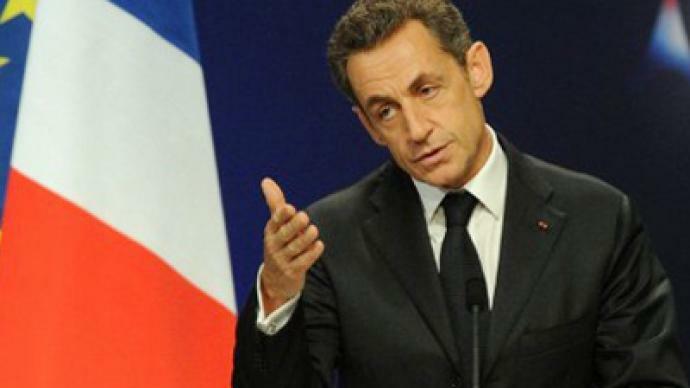 Sarkozy said that introducing a low tax on financial transactions and bond purchasing was “technically possible” and the idea was supported by France, Germany, Brazil and Argentina.